I love businesses that do whatever they can to cater to people who normally wouldn’t be able to eat there. Take, for example, Martini Italian Bistro in Louisville, Kentucky. This cozy bistro at The Summit off of Summit Plaza Drive is definitely worth checking out. I had been meaning to dine here long before now, but I will say this…their menu is a bit on the pricey side, so I wasn’t going to spend that much money on a lunch. I think I might change that policy now that I have officially dined here. Yes…I ate at an Italian restaurant. And you know what else? I came out of there without any signs of any cross-contamination. They were very specific when I spoke to them about being a Celiac and assured me that all the food was made-to-order…nothing was just sitting around…everything was fresh…and they would take good care of me. I admit, I was a little apprehensive about eating there. With restaurants…the knowledge of the chef and staff when it comes to gluten intolerance can sometimes be next to nothing. And at Italian restaurants, especially, the danger can elevate. So, there were definitely some heart palpitations as I gazed at the menu, searching for some gluten-free and vegetarian options. There were quite a few, believe it or not. It was Father’s Day, of all days, and my roommate and I were treating her mother to lunch as her Mother’s Day gift. Yes…while everyone else is celebrating Father’s Day…leave it to us to treat mom to dinner. It was an early dinner too…the 3:00 hour, just after they stopped serving brunch at the real menu was brought out. Perfection. Cathy and I had every intention of taking her mom here…because it was a nice place, but not one that you had to get totally dressed up for. It was that right blend of business casual. Jeans and a nice shirt is what we all were wearing. And so was a majority of the crowd. Our waiter came over to see if we would like anything to drink. As much as their specialty martini’s enticed, all three of us stuck to water that afternoon. Probably for the best. We alerted him that I was a Celiac and he gave me the run-down that all the pastas can be prepared gluten-free and that there were quite a few vegetarian options for me as well. He assured me that my food would be safe because everything was made as it was ordered. And…I actually felt okay after talking with him. He gave us a couple of minutes and when he returned…we were all ready to order. Cathy went with the classic standby on which she judges all Italian restaurants…the Spaghetti and Meatballs ($14.99). This dish had three large hand-rolled meatballs in a tomato sauce, all laying atop a bed of garlic butter noodles. She said the meatballs just came apart beautifully and tasted so rich and delicious. That’s always a good thing. Classic Italian dish…winning with my roomie. Cathy’s mom chose to go with the Shrimp Garganelli ($16.99). This pasta dish was a mix of pasta, topped with jumbo Gulf shrimp with crushed red pepper (so it has a bit of a kick and some heat to it), topped off with a white wine garlic sauce, oven roasted tomatoes, spinach and a touch of goat cheese. It looked fantastic. She said it was right at her heat tolerance, so that was a good thing. Hey…a little spice is good for that metabolism! As for me…I had a couple of options but finally decided on the one that the waiter suggested, as it is one of their most popular dishes. I ordered the Mediterranean Penne, done gluten-free ($14.49…regular $12.99 with a $1.50 charge for gluten-free). What this consisted of is a gluten-free fusilli, not penne, pasta, that is topped off with a very light, highly flavorful white wine garlic sauce, sun-dried tomatoes, mushrooms, spinach, toasted pine nuts, and a scattering of feta cheese. It sounded heavenly. With our orders in, and everything made to order, this gave us some time to talk, look at the martini menu, and Cathy and her mom both enjoyed the focaccia bread with the dipping oil. Cathy said the bread had some heat to it. So, that means I would have found it mild…but I am the breadless wonder at Italian places as most do not have a gluten-free bread option. Only two places I have dined at have, Piazza Sorrento in Hershey, Pennsylvania, and Mama Melrose’s at Disney World. The no bread thing doesn’t even bother me. Our food arrived, fresh and piping hot from the kitchen. When mine was placed in front of me, the waitress who carried it out even made a point of reiterating that it was, in fact, the Gluten-Free Mediterranean Penne. That was a nice touch. When all the plates were down, the waiter asked if we needed anything further, but we were just ready to dig in. I snapped a picture for this blog…then eagerly picked up my fork and speared a little of every component in the dish. Mouthgasm of wonderful gluten-free Italian goodness. For real!! First of all, the gluten-free pasta was cooked to perfection. It wasn’t gummy, nor was it mushy. In fact, it was at that perfect al dente that is so difficult to achieve with a rice pasta. But they did it. Spot on. Gluten-free pasta cooking perfection. My compliments to the chef. As for the toppings…Oh mio Dio…I am going to replicate this at home if at all possible. Honest to God…this was one of the most fantastic pasta dishes I have ever eaten. The feta cheese gave a hit of salty, rich flavor to the sauteed vegetables. And I am a sucker for sun-dried tomatoes. And I loved that they didn’t overkill the plate with them. A little goes a long way and the chef totally grasped that concept. There was the perfect balance of each component on this plate…and the sauce was light and full of flavor. I was in heaven. In fact, I devoured every bit of it. Down to the last noodle. Of the three of us…I was the only one who created a happy plate (which means…I ate everything on there). No regrets either. That was gluten-free Italian awesomesauce. 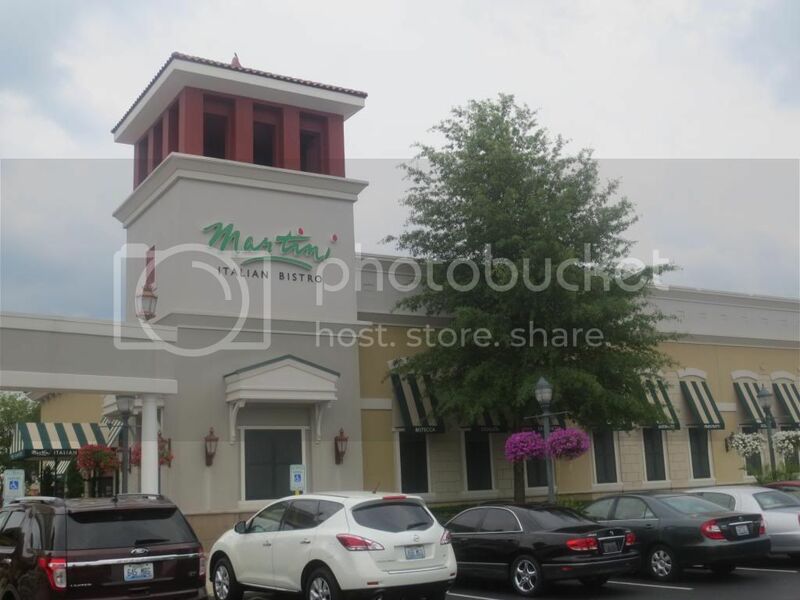 I encourage anyone in the Louisville area, whether you are just passing through or are a resident of this city, to stop in to Martini Italian Bistro and give their food and perhaps their signature drinks a try. The price of the dishes is worth it. You definitely get what you pay for. And the quality…the quality is hard to beat. I can’t wait to go back. I already have an idea of what I want to eat next time. And I won’t even scoff at the prices because I’d pay that again in a heartbeat. Yes…the food, the service, the atmosphere…it is all worth it. I encourage anyone and everyone to go there at least once and see if they win you over like they did for me. Even Cathy and her mom were impressed. We left full, but happy, all discussing how wonderful our food was. That is always a good sign. 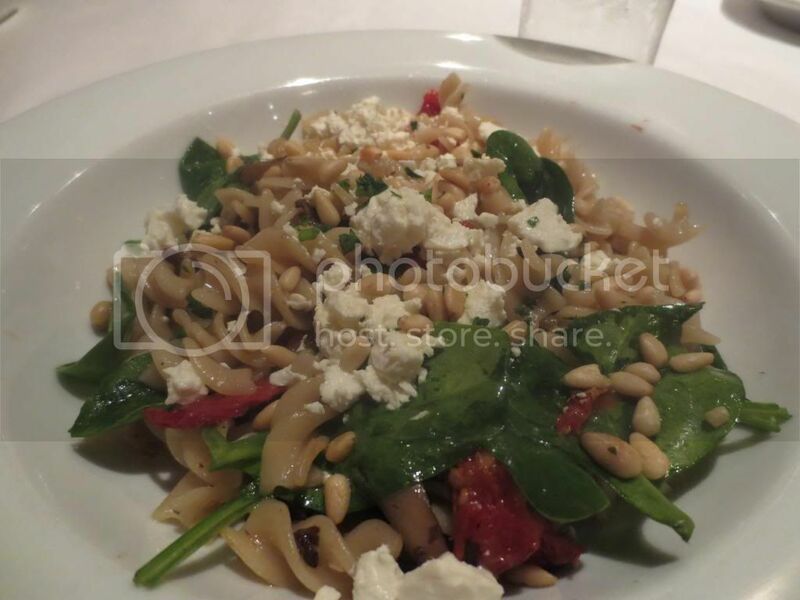 This entry was posted in Drinks, Entree, Food, Gluten-Free, Italian by The Celiathlete. Bookmark the permalink.